Movie free listed from 8 November 2018. Prince Ganglim, one of King LEE Cho's sons who is known for his superior skills in martial arts, comes back to Joseon after his long captivity from the Qing Dynasty, only to find his home country swarmed with 'Night Demons.' 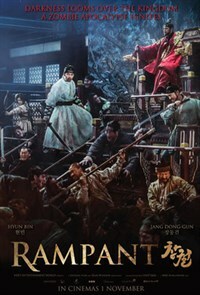 Will Prince Ganglim successfully stop the rampage of 'Night Demons' and save the country?